“Salesforce is Slow” – what can you do? 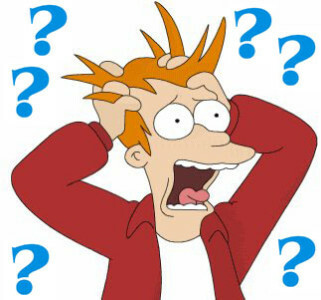 You cringe when you hear it – “Salesforce is slow!” or “Salesforce is broken!”. Those two phrases increase stress levels and can quickly catch fire in your organization and negatively impact user adoption and confidence. In the YEARS I have been working with Salesforce, I can count on two hands the total number of times that the service has been actually “DOWN”. Most of the time, it’s internet routing issues, DNS, and a whole slew of other factors, some of which you can help mitigate if you take a look at the connection between the end user’s workstation and the Salesforce server pods. Workstations are the “front lines” of your organization – computers, tablets, phones, etc. This is where the majority of your problems are reported and where you can spend a lot of time supporting ghost issues. Chrome, Internet Explorer, Firefox, Opera – whatever your organization’s preference is – make a decision and stick with it. You can read the official “Supported Browsers” article by Salesforce to get additional information, but there are so many issues that exist because people are using outdated browsers! Salesforce.com has a very low risk of malicious code or other in-sundry hacking things being done, but patches cover more than just security issues. Network resolution, memory usage, all kinds of other things are regularly addressed through service packs and periodic updates. Don’t cheap out on memory! Memory is relatively cheap now – when purchasing a new workstation, 4gb or 8gb is now the MINIMUM you really need in a workstation, no longer is it only reserved for developers or engineers! Low memory can manifest itself in a general computer or device slowdown and even to slowed rendering of web pages. The one major thing that your server infrastructure (or if you’re a small biz or home worker, your router itself) provides for you is DNS resolution. DNS stands for “Domain Name Resolution” and is the sole player that sends your request for “login.salesforce.com” to an actual server on the Internet. Without DNS, you cannot reference ANYTHING on the internet by name. Part of a solid “consumption” DNS strategy is to be able to reference multiple providers across multiple carriers. Most of the time, IT departments have either just one or a few DNS servers defined that reference your ISP’s servers only. If your ISP has issues – the broader Internet isn’t down, but you are! There are a number of public DNS servers – most notably Google Public DNS – that you can reference along with your ISP’s DNS servers to help in the event something somewhere goes awry. How your browser request makes it through the “series of tubes” to the Salesforce servers and back (it’s a round trip!) can be affected by a large number of factors. In most business environments, there is an appliance that controls all traffic in or out of your network – typically called a “router” or “firewall”. These appliances often have a feature called “Quality of Service” or “Traffic Prioritization/Shaping” that can help prioritize the transmission of packets meant for Salesforce.com over those that belong to someone’s music streaming or Youtube video. 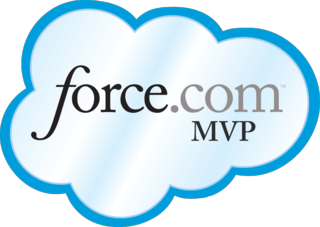 Most of the time, you can prioritize based on destination and source IP address – which you can set to be the Salesforce pod addresses. NOTE! You can use QoS to control packet transmission on YOUR NETWORK ONLY. QoS has no lasting effect as it transmits across the Internet. Often times though, proper prioritization within your network is enough to know if it’s either how you are using your bandwidth, or if you have to upgrade your….. This is a common issue that I see when I hear that dreaded “Salesforce is slow!” comment come across. There are two sides to your internet connection: upstream and downstream. When you hear an ad for Comcast / Cox / <name here> advertising “the fastest speeds around”, they are only talking about downstream – or how much bandwidth you have downloading content. Rarely do they ever mention how fast you can UPLOAD things. I know that sounds weird, but even while browsing, at minimum you have to use the upstream side of your connection to acknowledge the receipt of what the web server is sending you. If you have a larger organization or one that very data-intensive, you could also benefit from having multiple internet connections. Most enterprise-grade (and even some small business grade ones!) have connection load balancing or failover built-in or available as an upgrade for a small fee. Apart from the obvious benefit of if one connection fails completely that you can seamlessly roll over to another one, you can setup rules to ensure that certain traffic goes out over one connection and other traffic (like Salesforce!) goes out another. Happy networking and questions down below! Have you tried using Flows with Visualforce pages and tried to set the finishLocation to a dynamic value? Odds are yes, and odds are even better that you had (or are having) no end of frustrations trying to get it to fire right. The key to get your dynamic finishLocation to fire right is to factor your PageReference in such a way where as you are progressing through the flow and while the wrapper Visualforce page is rerendering, you can effectively capture and utilize Flow output variables. You’ll note that the “interview” attribute is in use. That is one of the necessary steps to make this work – you need to link your Flow to the controller. You’ll see that both the finishLocation’s PageReference as well as the variable that captures the Flow’s output variable are all in fully broken out GET/SET logic. Factoring your code in this manner is the trick; as you move through the flow, the Visualforce page re-renders each time the user progresses through a Flow Screen. **NOTE! There is also a trick to how your actual Flow is set up. For instance – if your Flow is creating a Contact and you want to direct the user to that Contact’s standard detail record upon completion of the Flow, you will need to have one last screen at the end to force the Visualforce page re-render so your controller can grab that Contact’s Id. **ANOTHER NOTE! You will NOT be able to get 100% test coverage when you link Flow to a controller like this. Because Flow requires user-interaction, if you try and reference the “flDemo” variable from the example above without first checking to see if it’s null (which it will be in the Unit Test), your test will fail. There is NO way right now (confirmed by Salesforce) to full test a Flow using this method…don’t pull your hair out trying. Good luck! Hit me up in the comments if you have other great Flow hacks or if you have issues getting this method to work. Integration / interoperability is no longer an “if”, it’s a “when”. Make sure you approach your project correctly and set you and your company up for success. Check out a great “Best Practices” blog post I contributed to at Demand Chain Systems! How many times have you been asked to “can you make that a printable view, ya know, without the top and sidebar?” when you create a Visualforce Page? If you have, you know the deal. If not, oh don’t worry, you will before too much longer. I will usually do this with an OutputPanel with the “rendered” attribute being set to the opposite of my controller’s printable view flag. Doing this gets rid of the silly link for “Printable View” on your printed page along with any silly users clicking on the button again. Again I’ll usually wrap this in another OutputPanel with the “rendered” attribute being set to what the printable view flag is – we don’t want this firing on the normal view of the page! Optional Step 5: Some pages just look better in Landscape mode – let’s use some CSS so it pops up like that by default. That’s it! Works like a charm. Questions? Hit me below in the comments! Public Anonymous Web Service on Salesforce Platform – No Login! So I was approached recently with the need to expose data to a vendor. “Sure!” I thought…”What’s your endpoint, WSDL, and the format you want your data sent in?” was my initial response. “No, we need to pull from you.” threw me for a loop – Salesforce ABSOLUTELY allows you to expose web services, but you need to establish a session first. For an established vendor with 1,000’s of other clients they poll data from, there is no way in heck that they would change their process to add a log in component. Hmmmph. Well, let’s figure this out. Salesforce is awesome, and there is always a way to do this. You’ll need to go in to the “Public Access Settings” button and configure the Guest Profile to be able to access your APEX class and any other objects that it may hit. You’ll note that the endpoint in the WSDL is set to be https://yourinstance.salesforce.com/services/soap/class/name_of_your_class. If you try to access this as it’s provided, you’ll be prompted for a sessionId, hence a login. If you change your endpoint to be http://<your Sites URL>/<your Sites name if applicable>/services/soap/class/<name of your class> you’ll find that you now have a fully anonymous web service! WAIT! Don’t forget about security! What I’ve done with the services I publish like this is to lock down access to it via the Guest Profile’s “IP Login Ranges”, found through the “Public Access Settings” button in Sites. While this method doesn’t completely shut down access, people outside of your specified ranges will get an “INSUFFICIENT_ACCESS” error when trying to access your web service.